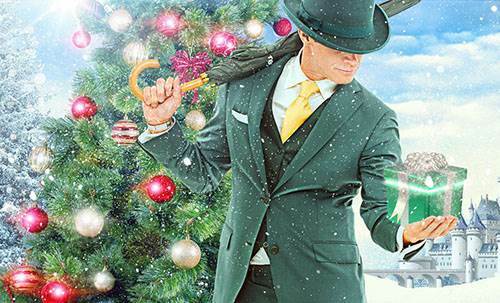 Mr Green offers a truly special promotion this year with prizes worth a total of over 1 Million Euros! You can get a gift every day until Christmas, so what are you waiting for, open today's advent calendar door now! The prizes are for the casino, sportsbook or the live casino. The prizes you can get are for example bonuses, cash prizes, free spins and other goodies, such as gadgets or designer bags. The conditions for each daily event will be shown when you click on the gift box. There are also missions, and when you fulfil them you can get the chance to win fantastic prizes. We recommend that you read the terms and conditions of the promotion before participating. You can find them in the description of the promotion on the Mr Green website. Christmas promotion with cash prizes for a whole year! Another promotion this Christmas at Mr Green offers you the chance to win a cash prize every week of the year for the whole year of 2018! The top prize is €1000 per week that is credited as real money at Mr Green and can be withdrawn immediately! The winners will be drawn on the 2nf of January 2018 at 18:00 at the LIVE Exclusive Blackjack Table 4 in the Mr Green Live Casino. Please read the terms and conditions of the promotions before participating. Mr Gren is a fantastic Online Casino that offers a broad selection of some of the most popular slots from many developers, including Netent, Play'n Go and Microgaming. The specialty of this casino is also that they offers a fantastic Live Casino and Sports betting, as well as tons of regular promotions with fair terms. You can find out everything you need to know in our Mr Green review! Enjoy Christmas at Mr Green with Fantastic Promotions!